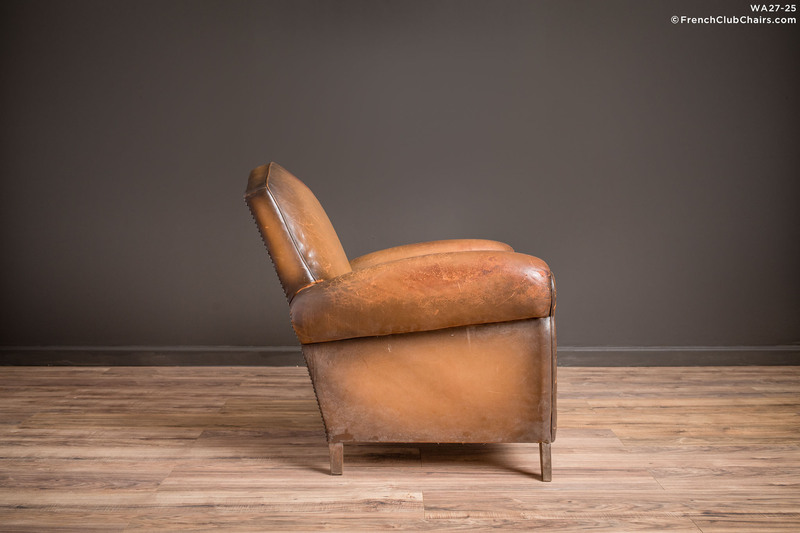 Solo Gendarme French leather club chair. Got that nook you're looking to fill with a classy vintage piece that will cradle you for a relaxing afternoon. This charmer is an all original leather example of 1940s French elegance. measurements: depth-34", width-32", height-33", seat depth-20", seat width-18", seat height-19"